Doug Brandt brings more than 19 years of sales and account management experience to Continuant. He is passionate about the customer experience and is always working to become a trusted adviser to his customers. 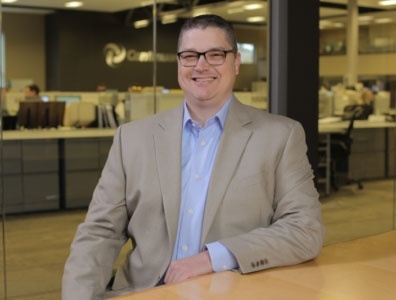 Prior to joining Continuant, Doug spent nearly 12 years in technology and application sales. As Senior Named Account Managers (NAM) with Continuant, Doug brings a solid technology background—with a focus on Microsoft, Cisco, Siemens, and Avaya UC technologies. Doug has worked in leadership at Continuant as part of the Named Account Management Team, where he led the Solution Sales Team for two years. There, his team focused on assisting customers in deploying Unified Communications and Applications. His strong performance working with customers earned him the Named Account Manager of the Year award in 2013 and again in 2016. For 13 years, Doug served in the United States Army and Air Force Reserves, where he was a nurse in the Operating Room, ICU, and US TRANSCOM. He received an Army Achievement Medal and Joint Accommodation Medal for his service. Doug and his wife live in Puyallup, WA, with their son and daughter.